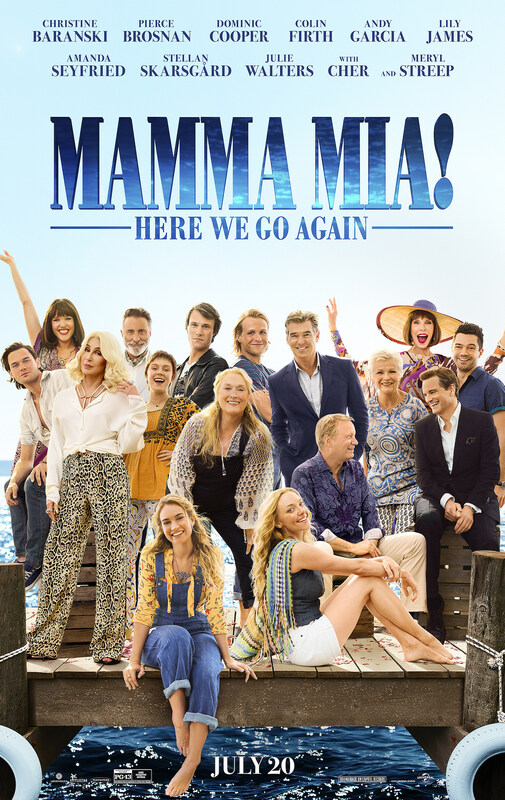 Considering that ABBA’s discography is rather large, and everyone loves an excuse to watch singing and dancing among sun-dappled European vista, the existence of a Mamma Mia! sequel is a welcomed one. Everyone from 2008 musical is back this summer, plus a heck of a lot more cast members and multiple timelines just to make it a little confusing. The final trailer for Mamma Mia! Here We Go Again is pretty much everything you’d expect: more musical numbers, more amazing beach wardrobes, more tans, and in general, just more. The sequel hops between the present on the island of Kalokairi as Amanda Seyfried’s Sophie announces her pregnancy, and the past to recount how Meryl Streep’s Donna, her younger self played by Lily James, met her trio of male suitors. An opportunity to see James as a free-spirited, sun-kissed Streep and the youthful versions of Pierce Brosnan, Colin Firth, and Stellan Skarsgaard is a fun enough premise alone. But I’ve still got some concerns. OK, one concern: is Streep’s Donna actually dead? Just like the first trailer, she’s barely present in this one. The film’s press release makes a note of her return in particular, but I’m suspicious. Maybe she’s just sick of all the ABBA and sand and needed a break to somewhere cold for a while. Maybe she’s in a coma. At the very least, there’s Cher singing “Fernando” to look forward to. Check out the post below and marvel at the magic of photoshop to bring all these people together! Mamma Mia! Here We Go Again hits theaters July 20.